This is my first #IMWAYR post, and (to no one's surprise) my recent reading material skews pretty heavily towards young adult. Since I recently returned home for the summer, I've been organizing my room and I've realized just how many unread books I have lying around my room (some of which aren't even mine)! So, to combat this aggressive tsundoku, I've challenged myself to read a book a day this summer; this has been somewhat successful, as I've averaged only about half a book a day so far, but I have a couple of months to catch up before the summer is over. Without further ado, here's what I've been reading so far! After getting my hands on the Selection series short story collection Happily Ever After earlier in this year, I reread the original Selection series. And since I already owned the sequel series, which follows Princess Evelyn (daughter of the Selection series' protagonist America), I figured I might as well binge all of the Selection series. 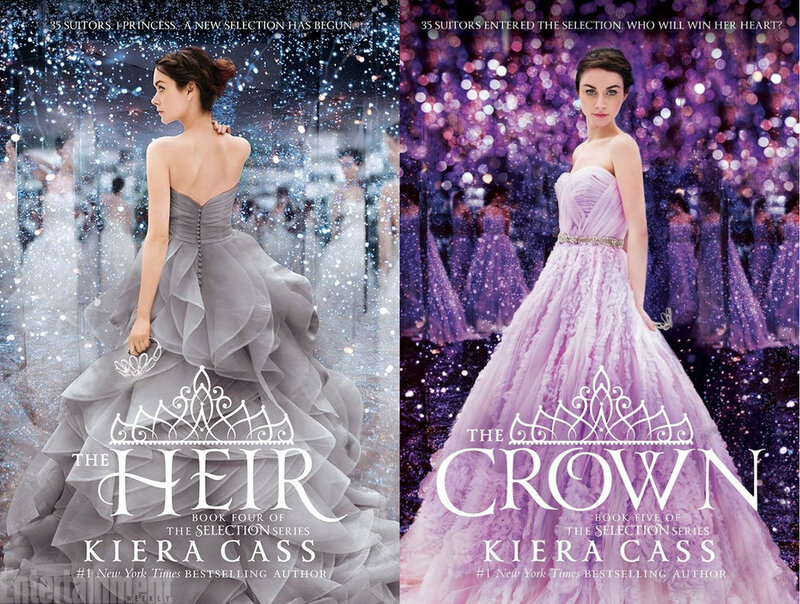 Thanks to finals, however, I wasn't able to read The Heir and The Crown until I got back from college, but the rest of the series was fresh enough in my mind that I was able to slip right back into Cass' world of futuristic royalty without any confusion. This sequel series is well-crafted, and it offers readers a rare treat: getting to see, in an extended context, how the choices and events of the final book of the (original) series have impacted the world a generation later. Oh, and getting to see Evelyn turn the gendered tables of the Selection process around was also fun. I originally read The Kiss of Deception when it was first released, but as I was merely borrowing the book from a friend, I never kept up with the series. When The Beauty of Darkness was released, I bought the entire series, but I never got around to reading it until now (partially as The Beauty of Darkness clocks in at a rather intimidating 679 pages). The Remnant Chronicles is a captivating series, filled with fantasy and, as the titles imply, plenty of deception, betrayal, and darkness. And although the hardcover editions are huge, they're well worth every word. I normally don't gravitate towards books in verse, but when Alyson told me about Hidden's premise—intertwining stories of an accidentally kidnapped girl, the unwitting kidnapper's daughter responsible for keeping her alive, and their conflict-ridden reunion at summer camp years later—I knew I had to read Hidden. In an author's note at the end of the book, Frost reveals the way she wrote hidden messages in one character's verse, and the book was so good that I immediately reread it. Overall, HIdden is a beautifully written and brilliantly crafted masterpiece of a book. If I'm being completely honest, this was not my first attempt at reading the wildly popular I'll Give You the Sun. I've picked up the book a couple of times, but never could quite get into it (the first chapter was a little overwhelming for me). Finally, I sat down and told myself I owed it to all the people who gave the book glowing reviews to try it, and lo and behold—I loved it. This isn't the first time I've ended up loving a book it took me a couple of tries to get into—the same thing happened with me with Rainbow Rowell's Fangirl and Eleanor and Park. By no means is it an easy read, but I'll Give You the Sun is touching and beautifully heartbreaking and incredibly important. 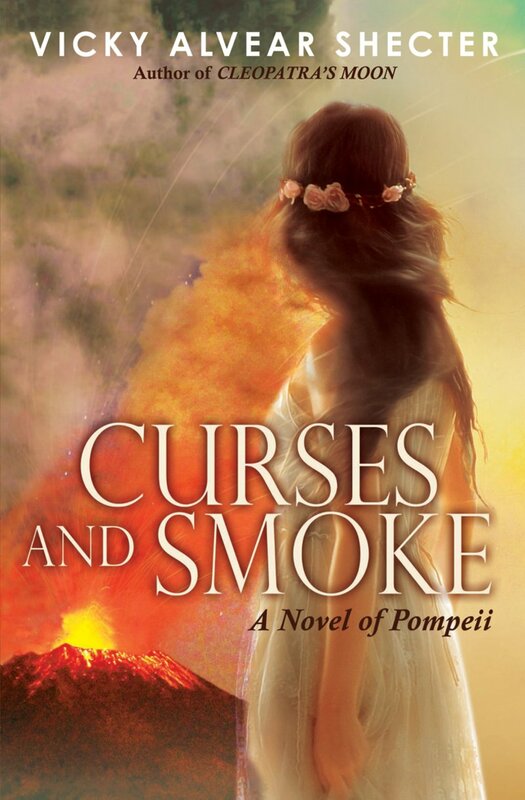 While I'm a pretty big fan of historical fiction, I hadn't ever read any historical fiction focusing on Pompeii before, so I was intrigued by the prospect of exploring the tragedy of Pompeii through the lens of its residents. A good work of historical fiction is able to keep the reader guessing (and hoping) what the final fate of the characters will be, even when the reader already knows the historical ending, and Curses and Smoke is no exception. If you've been following my YA Friday feature, you know that I loved Red Queen and Glass Sword. So, when War Storm (the fourth and final book in the Red Queen series) was released this past month, I immediately got my hands on a copy. But first, in order to do the book justice, I went back to the very beginning and reread the entire series. I have so much to say about War Storm, which you'll hopefully be reading in my impending review, but let me say this about the Red Queen series: rarely have I seen such a carefully planned and meticulously executed series. Each book has a distinct portion of the overarching story, and other than a switch from Mare's single perspective in Red Queen and Glass Sword to multiple perspectives in King's Cage and War Storm, the series is perfectly precise and smooth while retaining a sense of individuality for each book. I love short story/novella/prequel/sequel compilations, so naturally, I enjoyed Cruel Crown. I have a little bit of trouble figuring out where to place in terms of reading order—yes, it was published in between Red Queen and Glass Sword, but both short stories are prequels, and yet they both have some minor spoilers for Glass Sword (I think—I elected to wait to reread Cruel Crown until after I had finished War Storm, to better discern where I should place it the series). But regardless of placement, Cruel Crown offers an enlightening glimpse into two previously-unexplored characters and sheds light on their impact in the main novels. For any Red Queen fan, reading Cruel Crown is a must. Carolyn is a twenty-something-year-old blogger who shares her favorite YA reads and favorite book related finds with readers on Fridays.